These Poll Dorset cross lambs at Coolac, NSW, were estimated at 20.2kg cwt and sold for $149.50 on AuctionsPlus last week. A SMALLER online offering of sheep and lambs was harder to sell last week as hot dry conditions continued across most of Australia. AuctionsPlus offered 71,631 sheep and lambs last week, 10,000 fewer, and the clearance rate for the week dropped slightly to 49 percent. AuctionsPlus technical operations officer Matt Cotton said the drop in clearance was somewhat unsurprising, as growers continue to face challenging conditions across the country. In the general AuctionsPlus sales, Merino ewe hoggets averaged $199 and sold from $115 to $245.50 last week. The top price was paid for 214 20-21 month-old Poll Merino ewes scanned 150pc in-lamb to White Suffolk lambs at Frances in South Australia. The mid-September shorn hoggets weighed an average of 72.3kg and were mostly score 3 in condition. The same vendor also another 183 lighter SIL ewe hoggets (63.3kg) for $243.5. Both lots sold to a buyer at Meningie, SA. A line of 260 9-10 month-old late August shorn unjoined Merino ewe lambs in score 2 condition sold for $135 at Ungarie, NSW. Older Merino ewes averaged $131 and made from $70 to $196 online last week. The top price was paid for 340 3.5-5.5 year-old early July shorn SIL ewes at Forbes, NSW. The ewes averaged 71.9kg lwt, were mostly score 3 and early July shorn. They were SIL 189pc to White Suffolk rams. Merino wether lambs sold from $57 to $131.50 and averaged $95 on AuctionsPlus last week. The top price was paid for 410 late September shorn April-May 2018 drop Poll Merino lambs at Karoonda in SA. The lambs weighed 46.2kgs and were mostly score 2 in condition. They were bought by a buyer at Jamestown, SA. At the Barellan First Cross Ewe Sale also listed online last week, 221 unjoined 10-11 month-old unjoined ewe lambs sold for $300. The late October shorn lambs averaged 66.4kg and were mostly score 4. Other ewe lambs over 48kg lwt made $140-$260. Older ewes in the sale sold to $276 for 133 mid-September 34-35 month-olds SIL to White Suffolk rams that weighed 78.8kg and were mostly score 4. Others over one year-old made $120-$184. At the Gnadbro Pastoral First Cross Ewe Lamb Sale, a line of 220 May-June 2018 drop early January shorn lambs weighing 56.4kg and in score 3 condition sold for $240. Another 1020 weighing 50.9-53.6kg sold from $200-$202. About 1200 ewe lambs under 50kg lwt were passed in. In the general AuctionsPlus weekly sales, first cross ewe lambs and hoggets sold from $170 to $200 and averaged $182. The top price was paid for 168 7-8 month-old unjoined ewe lambs at Edenhope in Victoria. The late September shorn lambs averaged 46.2kgs, were mostly score 2 in condition and sold to a buyer at Naracoorte, SA. Grown first cross ewes sold from $155 to $223 and averaged $187. The top price was paid for 160 2.5-3.5 year-old mid-August shorn ewes SIL 117pc to Poll Dorset rams at Cowra, NSW. 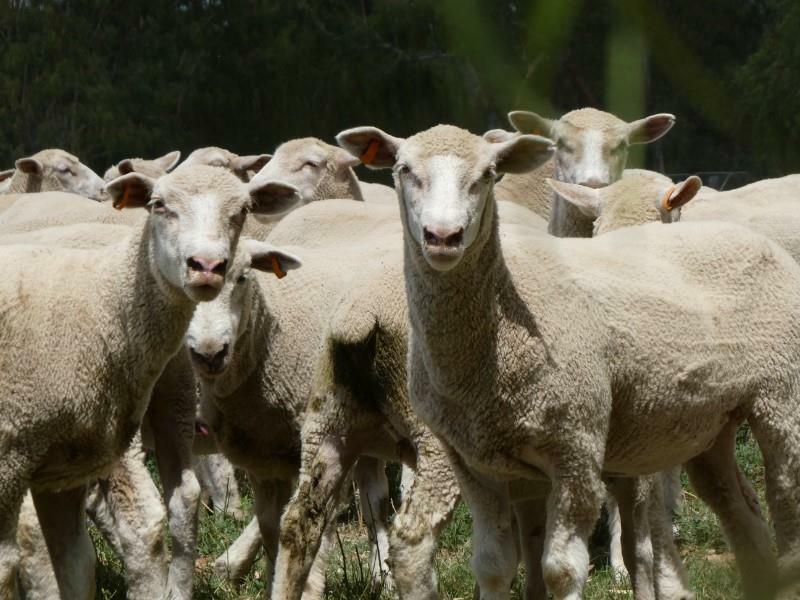 The ewes weighed 76.7kg, were mostly score 5 and sold to a buyer at Cootamundra in NSW. Other highlights across this week’s sales included 22 February-March 2018 drop Australian White ewe lambs at Griffith, NSW, which sold for $210. The lambs weighed 66.4kg and and were score 4 in condition. A line of unjoined Primeline at Armidale, NSW, sold for $155. At Coolac in NSW, 253 July-August 2018 drop mid-December shorn Poll Dorset cross lambs weighing 44.8kg lwt or 20.7kg cwt, and in score 2 condition, sold for $149.50. In Tasmania, 73 August-September White Suffolk cross store lambs weighing 42.6kg lwt at Hagley sold for $125 to an intra-state buyer at Latrobe.